This week has been an exceptionally hard one for me, but just as the doubts started rolling in I was given the Sunshine Blogger Award by the ever so thoughtful (and witty) Combat Babe. 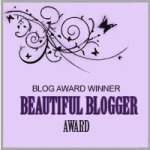 Some may think these blogger awards are silly, but to me there’s no such thing as a meaningless show of appreciation. This award encourages me to maintain the qualities that compelled Combat Babe to award me: to keep my head up, stay strong, and continue being the best mother (and blogger) that I can be. 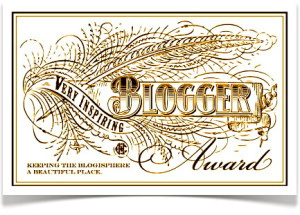 Pass the award onto 6 other bloggers and link to one of their specific posts so that they get notified by ping back. 1) Boston is my favorite city, and where I attend graduate school. 2) I’m enamored by chubby things (baby cheeks and thighs, penguins, bunnies, groundhogs, anything cuddly and squishy and round). 3) I’ve only had one notable winning streak, but I love playing poker. 4) I did NOT vote for Obama (or Romney). But yes, I did vote. 5) There are so many things I wish I could tell you (blog about), but I cannot…not yet. It’s just not safe to say all that I would like to say here at the moment. 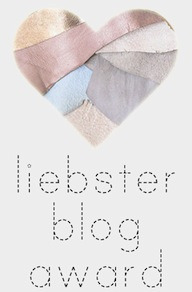 I must admit that I don’t follow very many blogs at the moment. I’m sure that there are some really awesome, well-written, inspiring, humorous, and all-around entertaining blogs out there, but I don’t have much time to go searching for them these days. 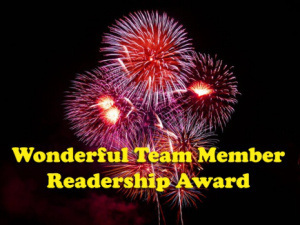 I’m giving this award to the bloggers who make me happy to read them for various reasons. 2) Moved by Faith – I cannot say her entries make me smile as they’re mostly about Domestic Violence, but she gives great insight to current victims and wonderful support to survivors. 3) Patrick Latter of Canadian Hiking Photography – He probably doesn’t acknowledge these awards, but I absolutely love his photography. The unique people, places, and scenes he captures are mesmerizing. 4) Alone but Strong – Another single mother taking it one day at a time, and being honest about the struggles. 5) Kate Surfs – I haven’t been reading her blog very long, but I’ve learned a few things and I always benefit from that. Also, her children are ADORABLE! 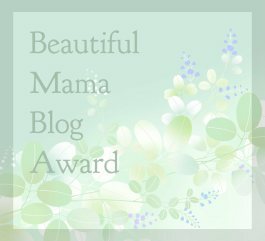 6) The Other Baby Blog – As this is a blog run by a group of individuals, and since it is not simply a blog, but a professional link to their book, I doubt that they’ll accept this award, but…I love their posts. I’m happy to see that I’m not the only one who challenges Western society’s take on child rearing, and it’s another blog I look to for learning new things. My thanks go out to Combat Babe a million times 🙂 This award could not have come at a more perfect time. It’s Rarasaur’s fault. I think she changes the rules on them all when she gets them. Sunshine and Blog of the Year have the exact same rules on her blog. She’s crafty. Aww this is so sweet! Why thank you!! !